Businesses use credit and collections software to ensure customers pay for the products and services delivered by the company. By recovering the amounts due on time, companies can rely on a consistent influx of money to finance their operations. This type of software is used by accounting teams to identify which invoices are overdue, match invoices and payments, reduce processing errors, and manage collection issues such as bad debt (amounts owed by customers that are unlikely to be paid). Accountants also use credit and collections software to manage customer credits to mitigate the risk of not getting paid. This type of software can also be used by collection agencies that recover outstanding payments on behalf of their customers. Credit and collections software can be delivered as a standalone product or as part of a financial management suite. Standalone credit and collections tools need to integrate with accounting software and ERP systems or with related point solutions such as AR automation software. Chargebacks911 offers chargeback remediations and loss recovery solutions. w2bill Dunning is a debt collection software that provides a unified platform for analytical overview of your customers trends and behaviors, allied with configurable sets of actions to mitigate the loss of revenue due to fraud, or negligence. w2bill Dunnin allows a business to set up scenarios suited to your business and your clients, and track their application whenever the customers are at fault. myFICO offers credit reporting and monitoring solutions. You Need A Budget (YNAB, we call it why-nab when we're in a hurry) teaches your employees a whole new way of thinking about their money. Capone, an enterprise debt collection platform, enables collection entities to control, manage and automate the collection processes, delivering a wide range of functionalities and flexibility, with a surprisingly short implementation time. Carixa is an end-to-end credit-to-cash system for mid and large corporations that can also be deployed standalone or as a high-performance production bolt on where you need it. Either way, Carixa will enable you to maximize your financial performance. IBS Collection and Asset Recovery Manager software simplifies complex delinquency collections processes to help banks and credit unions improve results by operating at lower cost and with less risk. Churnback is Stopping Churn, Revenue Loss and Chargebacks by automation. Churnback makes sure your customers pay on time, increasing your revenue through automation and fight back chargebacks by automation and a global collection network. Systems for the Hard Decisions. intelligent debt collection and litigation software packed with cutting edge features that enable the user to provide a market leading service. Cogent automates the collections process across the complete lifecycle, reducing the cost of collecting debt and increasing debt recovery. The Collect! cloud based hosted solution is all inclusive; the hardware, the applications, the environment, the backups and the maintenance are all taken care of for you. This substantially lowers the cost of getting started, allows you to pay for what you use in the cloud, and enables you to grow without having to reinvest in additional hardware or reconfigure systems that were not properly sized. Collection AdvantageSM helps you identify which accounts have the greatest and least recovery potential. Collection Partner includes interfaces to national networks and recovery systems which allow you to collect and communicate with forwarders faster and provide a high degree of accuracy with electronic data exchange. Credit Strategy provides cost effective tools for managing Credit, Collections and Deductions. Full-featured delinquency management software manages every phase of an account's lifecycle for customer service, collections and recovery. HighRadius Collections Cloud is designed to automate and optimize the credit collections management process to improve collector efficiency, minimize bad debt write-offs, improve customer relationships and reduce DSO. Collections Management for Microsoft Dynamics GP has the processing power to improve cash flow, diminish collection time and reduce bad debt. Reduce your business' collection uncertainty, increase efficiency and accelerate cash flow for your business or organization with our collections solutions. debt prevention and collection smartphone app. It gives you personalized advice and recommendations on what you need to do to get paid. It also contacts your customer asking them to pay, by email and SMS, using pre-written templates. There are 8 different templates in total for you to choose from (only 1 in the Lite version), each proven to work. CollectPlus uses the latest technology to offer you a powerful and reliable software system for debt collection & recovery. CoreCOLLECT is an intuitive, browser-based user interface reducing training time and speeding collectors' time to productivity. This functionality, coupled with the application's embedded security, enables lenders to provide third party collection agencies located in distant locations and time zones access to all cases assigned to them. HighRadius Credit Cloud is designed to replace a paper intensive credit management process with an electronic one to enable better credit portfolio and risk management and to quickly onboard new customers. CreditForce's range of products are integrated with over 40 of the world’s leading Accounting Systems, including SAP, Oracle, Epicor, Axapta, JD Edwards, Microsoft Dynamics, Microsoft Navision, Sage, Lawson, Infinium, and many Legacy Systems, with Editions for Industrial, Commercial and Government, and Professional Services Businesses complemented by a range of Supporting Applications. Credit Hound is an advanced credit control and accounts receivable system designed to pick up where your existing accounting or ERP system stops. Being a fully automated system, Credit Hound can help streamline your current processes saving you both time and money. Improved cash flow is vital to the success of every business and Credit Hound can instantly show how much you’re owed and who you need to chase, reducing debtors and preventing late payments. By automating many of your day-to-day credit control processes, Credit Hound significantly reduces administrative tasks allowing your credit controllers to now proactively chase payments, bringing the cash in faster. The comprehensive reporting system allows management to track performance and the overall effectiveness of the credit control functions. By streamlining your systems, Credit Hound is able to give a quick return on investment with many of our customers seeing the benefits after just three months. To find out how Credit Hound can help your business contact Draycir today E: sales@draycir.com T: +44 116 2553010 or visit our website for further details www.draycir.com/credithound Credit Hound connects with Sage 50cloud, Sage 200cloud, Sage 300, Sage Enterprise Management, Sage 500, Sage 1000, Microsoft Dynamics NAV, Microsoft Dynamics GP, Microsoft Dynamics 365 Business Central, Infor SunSystems, SAP Business One. Credit Manager is a Metro 2 credit reporting software solution. CreditorWatch offers business credit reporting solutions. CreditPoint Software's SaaS platform offers the most comprehensive B2B credit risk and collections management solutions available. The product suite offers: online credit app, ratings & financial data, bureau integration, configurable scoring models, rule-based workflows, analytics driven monitoring and alerts, and business intelligence. Whether you are looking for financial data and credit risk analysis software to collections management and business intelligence solutions, we have the resource that fits your needs. Credit Time 2000 allows any businesses to report consumer credit accounts and business commercial accounts to the national credit bureaus. This software is designed specifically for third party collection agencies. 2iTM SaaS platform helps you manage your collections team performance and schedules to optimize efficiency. Further, it enables your team to adhere to the regulatory framework with ease, ensuring every customer is treated fairly. Designed to help debt collection professionals in all aspects of their work, MicroBilt's suite of recovery and skip tracing tools provide quick, convenient, and current data that help you prioritize and successfully track people down and collect. Hi there! 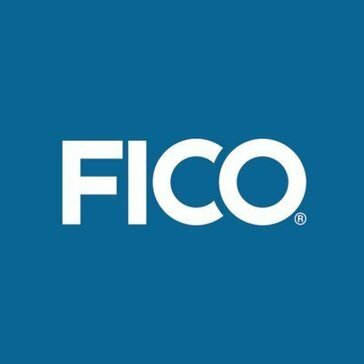 Can I help you find the best Credit and Collections solutions?